Are you skeptical about counting those innumerable cups of coffee when you have a little one growing inside you? 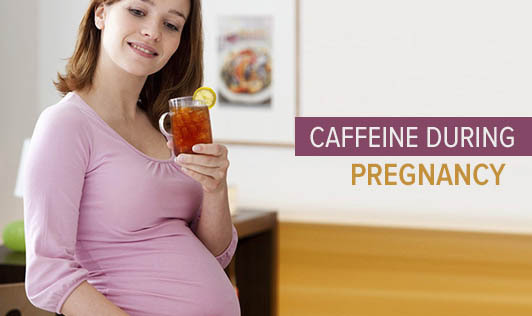 This piece of info will help you clear your doubts about caffeine and coffee during pregnancy. • Coffee, a drink rich in caffeine undoubtedly has the "pick-me-up" power, but may not be so good when you are pregnant. Caffeine, a diuretic increases your visits to the toilet when you are already finding ways to cope with it during pregnancy. • Caffeine also washes out calcium and other important nutrients required during pregnancy, even before they get thoroughly absorbed. • Intake of more than 200mg of caffeine a day may increase your risk of miscarriage and birth defects such as cleft palates. • Large amounts of caffeine can also cause insomnia, nervousness and headaches. • Keep reminding yourself that you are doing this for you and for your baby. This can be a good motivation to limit your coffee intake. • Figure out what you love best about coffee. Is it the energy that it gives you? Then how about having a snack rich in carbs and protein to keep you energetic? Is it the taste that is tempting? Then replace it with decaffeinated coffee. • It is not just coffee that contains caffeine, but other foods like chocolates, chocolate ice creams, and beverages like colas and other energy drinks too contain caffeine in different amounts. So, be aware of the different sources in which caffeine is hidden and limit those foods/beverages. • Take it slow. Do not zero down your coffee intake form six cups to none all at once. It can leave you cranky and exhausted. Cut down one cup a day and bring it down to two cups a day. • If coffee is just a reason to take a break from your work, then how about replacing it with green teas/nimbu paani?